Strong demand for rental properties in Auckland is keeping vacancy rates low, but a rush of new stock means average rents are up just 5% on a year ago, according to the region's largest real estate agency. Barfoot & Thompson said it has had a rush of new rental properties come on to the books of its property management arm, with the number of new rentals it took on board in the September quarter of this year up 26% on the same quarter of last year. The increase has been even greater for apartments, with rental listings of apartments up 36% compared to year earlier., reflecting growth in the number of apartments being built in the city. "In this last quarter alone, we had 387 new apartments compared with 263 and 285 in the same quarters of 2014 and 2015 respectively," Barfoot &Thompson director Kiri Barfoot said. "But rental supply is barely keeping pace with demand. "Vacancy rates are just 1% despite 26% growth in all property types. "We are turning properties around in an average of less than four days," she said. Growth in average weekly rent had slowed slightly in the second quarter and was up 5% compared to a year ago. The average rent for a three bedroom home tenanted by Barfoots in the September quarter was $520, up 1% on the second quarter of this year and up 4.6% on the third quarter of last year. The average rent for one bedroom properties tenanted by Barfoots in the third quarter was $339 a week, up 4.6% on a year earlier while the average rent for two bedroom homes was $433, up 5.5%. 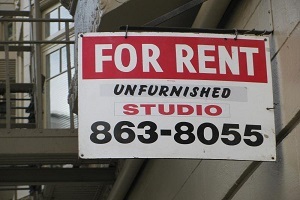 Auckland landlords, is the average rent being charged in Auckland for a 3 bedroom house $520? That seems very low doesn't it? Are there really a lot of 3 beds well,under 520 per week up,there? Yeah that sounds quite affordable. Surely that $520 per week average is wrong. By the time you take off the Barfoots management fee, rates, insurance and the interest there would be a huge loss on all rentals in Auckland bought in the last couple of years at that rental amount. I do know that many management company's dont try that hard to obtain as much as they can charge for property that they rent. I have seen many rental assessments from company's that are grossly under quoted. Currently on TradeMe there are 227 listings for three bedroom, one bathroom, houses for rent under $500 in Auckland. Many landlords will have significant equity in their holdings so rent needn't cover the entire current value of the home as if it has a 100% mortgage. Many houses were bought ages ago for much less than their current value. Most expensive houses are owner occupied. Yet as you can see there is plenty of accommodation available for those wishing to live in the best city on NZ. You have to be quick though. Zachary, don't know why then that people in Auckland are moaning about the housing situation when you can rent a home in Auckland for a fraction of currently owning. The extra money saved they can invest in Gordon's shares. Christchurch home prices are half the cost of Auckland and yet we are getting pretty close to the average Auckland rent and no management fees, for 3 bedroom homes. Yes indeed, renting in Auckland is good value. They should be complaining more about Christchurch landlords who could afford to charge less. Up here we subsidize tenants.It's not uncommon to see a busking landlord with a sign that says, wife, kids and six tenants to support. Zachary, seriously how the heck can people be calling people who provide housing for people to rent in Auckland "Greedy Landlords"
As for Christchurch landlords charging less, there are plenty down here that don't rely on the rents as they also have a job, but grossly under rent their property. As we are full time professional landlords we don't see the need to drop the rents unless we need to. By saying that we have only raised one rental in the past year and all others stayed the same. We don't believe in having property that we are propping up financially and never had any, however if it happened then it would probably put on the market and another better performing one purchased. Landlording is not all "beer and skittles" but certainly the best way to get ahead and provide a very good standard of living with flexibility of your time. Professional landlord...what a joke. Professional tax avoider contributer of nothing. You provide nothing, you game the tax system and you distort property prices. You disenfranchise young, you despoil our neighbourhoods and create run down slums. You are a symptom of disfuntional policy settings supported by the asset owning classes. Be gone with you. And no I don't rent. Rastas. What are you on about. We provide extremely comfortable, updated and warm property at very fair prices and that is why we normally retain our tenants. We check on the property every 3 months maximum and even sooner if the property is not being not maintained as well as we would like, so hardly slumlords. Any maintenance is attended to straight away. Certainly not a tax avoider at all, as we pay tax on the excess rent over expenses on every single property and submitted by our accountant. Can't stand landlords that do provide low quality property and don't keep up with repairs. Not too sure what you are on about regarding disfunctional policy settings supported by asset owning classes? The Boy you use the word " professional" very loosely. Professionals are generally tertiary qualified people such as teachers, lawyers ,doctors and accountants. You are a full time landlord which is a mind numbing occupation. Anyone can do it hence the returns are average. I would rather watch paint dry. Even milk cows which my farmer friends say is equally mind numbing work. Gordon, Real Estate Agents are classed as professionals, I suppose you have a problem with that too. I do note that the MBIE stats state the average 3 bedroom in Auckland is $627 per week so maybe Barfoots manage a lot in the lower socio areas. Don't care whether or not you consider fulltime landlords as professional, to my mind it means we do it for keeps rather than a casual sideline whatever happens. Remember Gordon if you ever want to take me up,on that 100k challenge I will keep my eye out for your acceptance. Too many on this site tar all,landlords with the same brush. I am sure I wouldn't get this response at a Property Investor meeting! By whom are real estate agents classed as professionals? By themselves and almost nobody else. I am quite prepared to accept that some-a small percentage-do their job in a professional manner,but that's not the same thing at all. Even with the obscenely high commission rates,most only scrape a living. I have nothing against landlords in general and indeed,I am one(one small property for the last 16 years),but I am primarily a stockmarket investor and have been for decades,both in the UK and here. You stick to property and I'll stick to shares. you are correct Gordon I don't know what these other people are talking about, real estate agents aren't professionals they are nothing more than salesman...are they not...? Semantics. It all depends on how you define professional. Occupation and profession can be interchangeable. I have utmost respect for the well-known RE agents who also happen to be the household names, especially those in DGZ who try their hardest for both vendors and buyers. They are the nicest people around. Give it a rest mate, we all know the double gz and Zachary quake are one and the same... responding to your own narcissistic and self entitled comments with a different nom de plume, is a special kind of delusion. RE agents certainly are not professionals. They do a five minute poxy course and then go out and work on commission for themselves primarily, their principals secondary. You work full time as a landlord but you cannot call yourself a professional. You are a landlord who happens to rate himself but you are not a professional. Anyone can be a residential landlord but none of them are professional. You delude yourself the boy. You are down there with politicians who also are not professionals. During my 30 years in practice I dealt with them many times a week. I would love a dollar for the times I heard them say" The purchaser will get this property for that price. " And the vendor contracts with them and pays them. Generally failures in other attempts to work who can earn more than surgeons. You give them a key, they say nice things about your home, give you back the key and charge you ten, twenty thirty thousand. How stupid we are to pay it. Gordon, you are a very bitter jealous man. Smile and get over it and hopefully you will have a better retirement as you have a lot of pent up anger inside you. And yes the exams that Real Estate Agents do,take many months to take nowadays and then basically under watch for another 6 months. And that makes them a professional the boy. No wonder you think you are one. What did you fail in to make you want to be a landlord. Gordon, you are acting as an elitist, I would say you are an approx 60+ year old professional/ retired professional who graduated from a high tier secondary school. Your posts are indicative of a know it all, that thinks they are better than they are. The kind of person that junior colleagues and acquaintances would think of as "a bit of a knob". A professional landlord, would be a person engaged in landlording on a consistent basis for the long term, targeting rental returns and free cash flow. As opposed to temporary landlords who pile in during a bubble for speculative capital gains, and who fail to maintain their properties. Mia have a look at the definition of "professional" in any dictionary. Landlords get nowher near it. Fulltime but hardly professional. You are correct about my age but wrong about my upbringing. I went to an average school and put myself through university. I had a huge practice as I treated everyone with respect whether they were rich or poor, old or young etc etc. Gordon, I failed in being a loser!!!!!!! This site is meant to help people make financial decisions, but all you do is knock everything. The Boy I am positive about equities and commercial real estate. Never rated residential rentals as I would rather train spot or watch paint dry. Anyone can do it hence the miserable returns.If you were a qualified professional you would not be a full time landlord. Gordon, why would I want to be a trained professional, it would mean I would need to work. Being a professional landlord gives me both income plus time. The Boy you are a full time landlord because you are not a professional. You admit you have no professional qualifications and that is why you became a landlord, an income earning activity that anyone can do. Professionals if they are good at their occupation have surplus income to put into commercial real estate and equities where the real money is made. Gordon, wouldn't swap the way things are for us for anything else. We have got commercial property as well that is an excellent earner for us. Equities I wouldn't touch with a barge pole! You talk about rentals as watching the paint dry? How the hell are equities exciting? Who are you trying to kid The Boy. No one has commercial property and poxy houses in Christchurch. Maybe a corner dairy! Gordon, are you on for that 100k? If you are calling me a liar then take up this 100k offer!! One thing I dont do Gordon is tell porkies. Fair enough, wish the Old fella would stop calling me a liar! Love him to meet my challenge! Naked knife-fight to the death, or stop wasting our time.